After more than 16 years of development, the European Space Agency (ESA) launched Aeolus in August 2018. 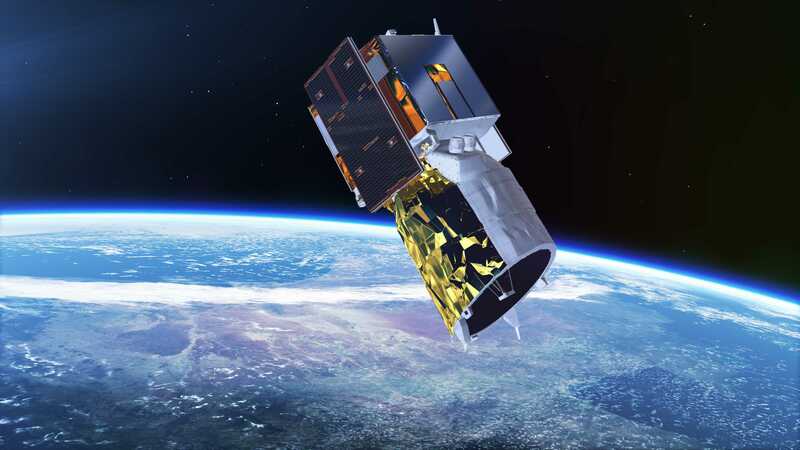 Part of the Copernicus programme and built by Airbus, this satellite has been designed to accurately measure wind patterns from space. Named Aeolus after the Greek mythological guardian of wind, its 3-year orbital mission is expecting to boost climate research and weather forecasting. Irene Cionni, researcher at the Italian National Agency for New Technologies, Energy and Sustainable Economic Development (ENEA) confirmed that “Aeolus is focusing on an unexplored field, uncovered until now by satellites. Indeed, the lack of direct global wind measurements is one of the major deficits of the Global Climate Observing System (GCOS)." Circling Earth at an altitude of 320 km above your head at the moment you are reading this post, Aeolus continuously moves from one Pole to another. During the so called “polar orbit”, the satellite makes measurements to set up a map view of what winds are doing from the surface of the Earth to an altitude of a maximum 30 km. The advanced Atmospheric LAser Doppler INstrument (ALADIN) which equipped Aeolus includes two powerful Lidar (Light detection and ranging) lasers plus a large telescope. The entire system is continuously tracking molecules and tiny particles (moisture, dust, gases…) moving in function of the wind speed and direction. It can measure a maximum of 120 wind profiles per hour. “The Lidar device can provide vertical profiles of wind speed for a wide region by using the Doppler effect and backscattered light,” explained Llorenç Lledó, developer at the Earth Sciences Department of the Barcelona Supercomputing Centre (BSC). “For many years, wind farm developers have installed Lidars on the ground, or even in the turbine nose, to better understand wind conditions in wind farm sites. With Aeolus, this is the first time a Lidar instrument has been sent to space to monitor winds for the whole planet,” he added. What about the S2S4E project? After few weeks flying with the stars, Aeolus had delivered its first results and may surpass all the expectations. “The results so far look extremely promising, far better than anyone expected at this early stage,” stressed Florence Rabier, Director General of the European Centre for Medium-Range Weather Forecasts (ECMWF), interviewed by Geospatial World. Sending to the SvalSat ground station based in Norway, “the data collected will be soon used to better predictions”, stated Llorenç Lledó. “Another area where it can also be a key value is the generation of reanalysis datasets. As far as I am aware, no reanalysis assimilates yet this new dataset, but it is just a matter of time. This will enhance the product quality and will be very important for wind energy assessments that rely on reanalyses-derived wind speed to assess climate risks,” Llorenç noted. Currently, measuring and forecasting atmospheric dynamics is based on anemometers and scatterometers which are instruments installed on the ground or masts. This system could be limited in terms of “station representativeness,” pointed Llorenç Lledó. He developed this point by saying that “reanalyses provide estimates of mean wind speed over a wide region represented by a grid point.” Therefore, and within Aeolus data, meteorologists would be able to adjust and consolidate their numerical forecasting models leading to more accurate medium-range forecasts (such as those at the heart of the S2S4E project) and meeting at the same time with a deeper understanding of climate change.